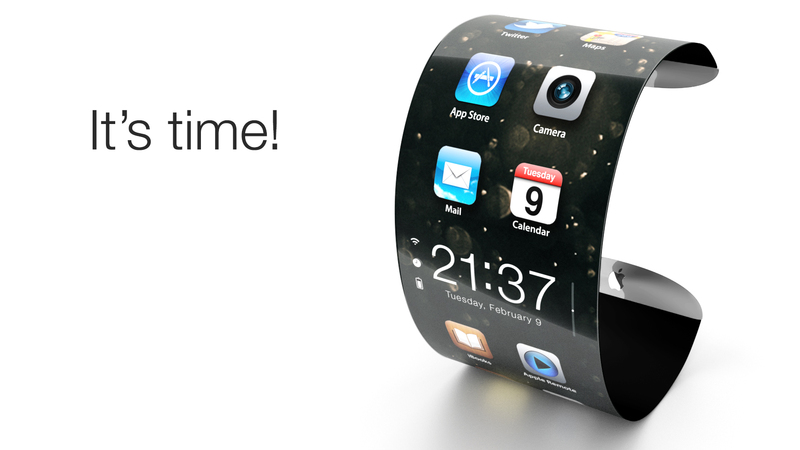 iWatch: What will it be? While I assume it’s safe to say the one function it’s sure to have is displaying the time, aside from that, what would you like to see in an Apple iWatch? For me, I’m not sure. 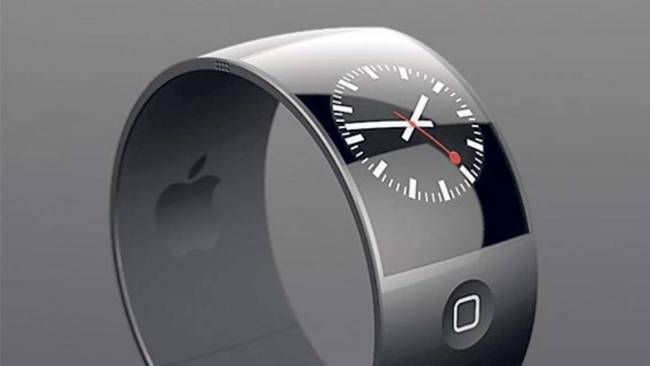 As a long time technology guy, I was always for adding functionality to the new digital watches. The one thing I noticed though was that to have a calculator watch was a sure fire way to get pigeon holed into geek status. Then along came the Casio TC-600. It was truly the best of both worlds. I could walk around wearing a calculator watch that didn’t look like a calculator watch. It was stylish, multi-functional, and hell, it even had a capacitive touch screen like your modern smartphone does. Well, fast forward about 30 years, and here we are in the age of smart phones. Now, for me personally, I haven’t worn a watch since I started carrying around a cell phone because even the lowest, most budget cell phone has clock functionality. So the mobile tech jumped form the watch to the cell phone pretty quick because the larger form factor of a cell phone opened up alot of application territory. So now we’re at an point where we’re coming around full circle, and now the industry wants to convince us that we need a separate piece of hardware to be “sistered” to our phones. Well, I for one don’t miss a sweaty wrist as I always felt uncomfortable wearing a watch. So, to be perfectly honest, unless there’s some really compelling functionality brought to the table with this new device, I don’t see myself investing in one just to have the it device, especially since being an Apple product, it’s not going to be particularly inexpensive to buy. So, whatever Apple does decide to do, I hope it has some real innovation because otherwise it could really tank hard for them. 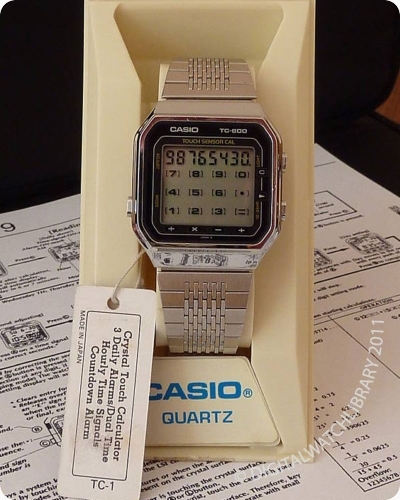 Oh yeah, by the way, while researching this article I stumbled upon a brand new Casio T600, new in the box with tags, on Ebay, for $1500!! I think when it was new, It was somewhere around $40 or $50 bucks, can’t quite remember, and that would be 1984ish dollars. 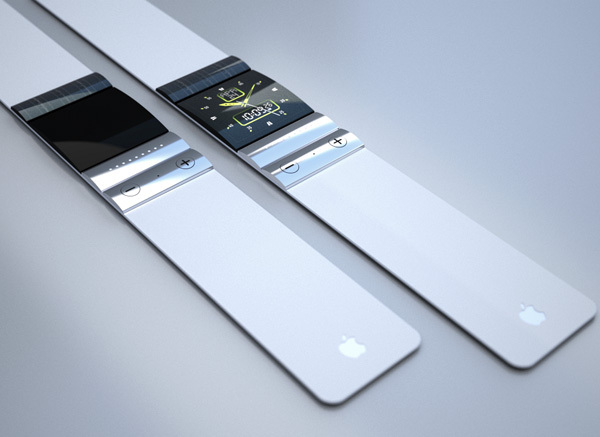 Scouring the web, I found a bunch of renders of what an iWatch might look like. This one here looks pretty stylish with a bit of an iPhone feel with the home button and the portrait display. The overall styling is pretty cool too. This one here has a more traditional look to it with a more standard watch/band approach. While quite stylish, I think I’d much prefer the larger displays like the two previous examples showed. 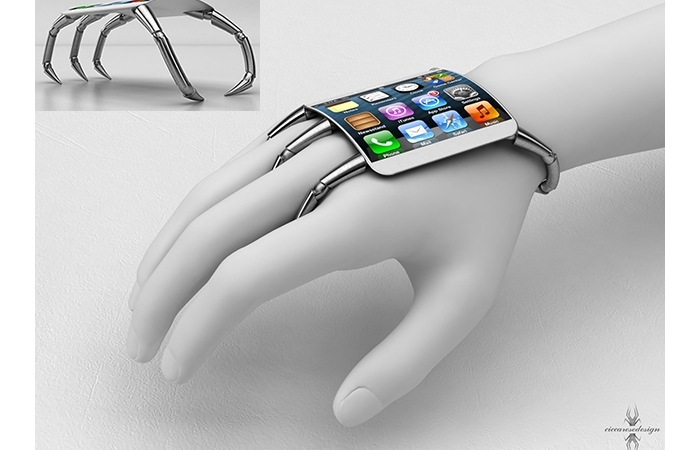 How about this for a concept… an almost spider like concept with multi-jointed “grippers” that hang onto you hand, how cool is that. In the end, I’m guessing whatever Apple decides to do, it’ll be cool, but I just hope the cool factor is high enough to make it a successful thing.